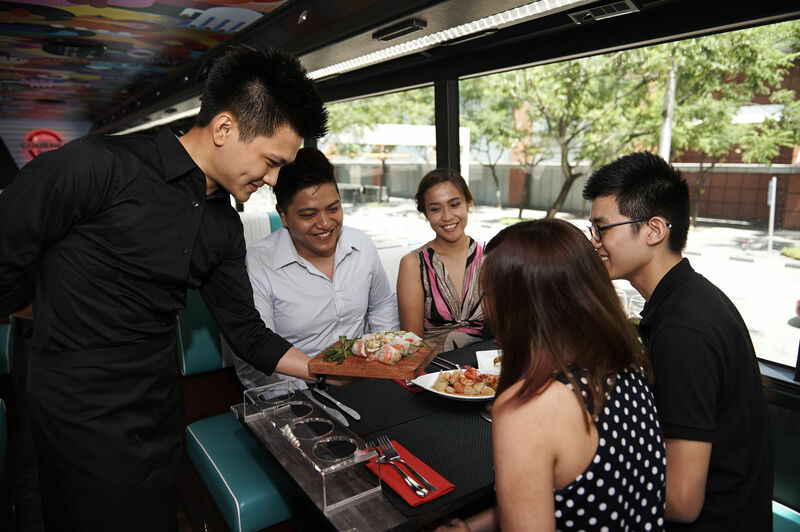 Singapore GOURMETbus - Book Now! For reservations of Singapore GOURMETbus within the next day, please call +65 6338-6877 for immediate assistance. Thank you. Prices stated on the booking form are inclusive of 10% Service Charge and 7% GST. Optional Drink Packages are available at S$13, including free-flow oxygenated water and soft drinks plus a cup of illy coffee or a pot of Gryphon Tea. Only tickets purchased from our ticketing counter, official website and authorised travel agents will be honoured. Singapore GOURMETbus reserves the right to refuse entry to guests with fraudulent or unauthorized tickets.